I know that databases always seem like a dry topic but today lesson was great all due to a really fun resource. It may be old news but I came across a resource called Whodunnit on the Wales HWB Page. 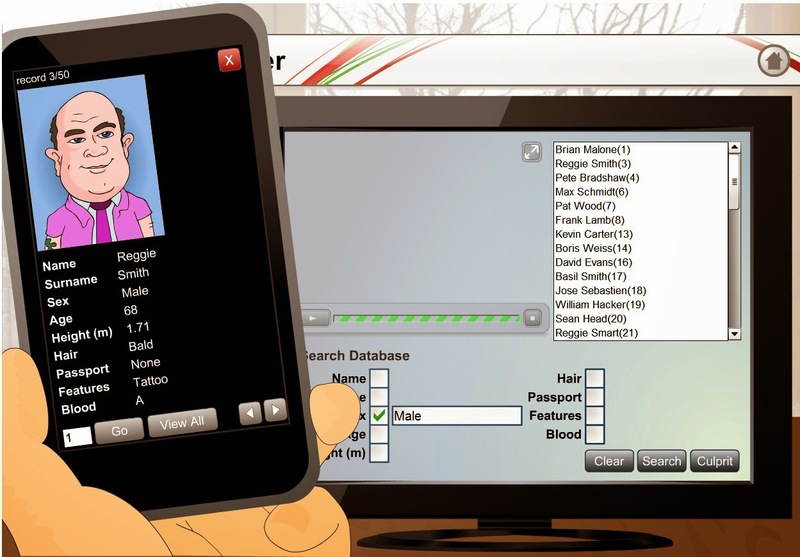 Its is a fairly simple database program that asks you to find suspects in crimes. You have to watch clips of interviews and then using the information narrow the search. It was a great introduction to the idea of interrogating a database. I extended it very simply by getting the children to come up with their own crime and describe it so one of the suspects on the database would be chosen. This could be taken further and children create there own videos which could tie into there own suspect database. The children loved it. They where excited about the idea of databases.